Please contact the Office of the Vice-President: Academic for access to forms or documents found in this policy. Members of the Laurier community enjoy the freedom to pursue their intellectual and personal interests without interference, provided that their actions do not limit the rights of other members of the university or the community in which it is situated. The objects of the university are the pursuit of learning through scholarship, teaching, and research within a spirit of free enquiry and expression. The university recognizes academic freedom and the right to peaceful protest, acknowledging that the common good of society depends upon the search for knowledge, and its free expression. 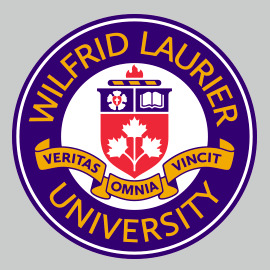 To this end, Wilfrid Laurier University requires that students conduct themselves in accordance with the laws of the country, province, region, and municipality as well as the policies of the university. Academic dishonesty, fraud, misconduct and failure to respect the rights of others are all offences under this code. In the case of allegations of either academic or non-academic offences, the president has delegated to the deans and to the vice-presidents of the university the authority to impose interim or permanent discipline. The deans and vice-presidents will establish committees to hear such allegations, unless the situation requires immediate response. These committees will have appropriate student representation. Nevertheless, any student has the right to be heard by a dean or vice-president alone. If the impugned conduct is, in the recommendation of the dean or vice-president, deserving of suspension or expulsion, the president shall make the decision. Disciplinary decisions of the deans (including those of the Judicial Affairs Council) and the vice-presidents may be appealed to the president, whose decision shall be final. Students should refer to disciplinary procedures available from deans' offices and the University Secretariat. Approved by the Board of Governors on January 30, 1996; revised as per board by-law amendments approved December 2, 2003; revised as per Senate approval March 6, 2007 and Board of Governors' Executive and Governance Committee approval March 20, 2007. Academic misconduct is an act by a student, or by students working on a team project, which may result in a false evaluation of the student(s), or which represents an attempt to unfairly gain an academic advantage, where the student either knew or ought reasonably to have known that it was misconduct. Whether or not a student intended to commit academic misconduct is not relevant for a finding of academic misconduct. Hurried or careless submission of assignments does not excuse students from responsibility for verifying the academic integrity of their work before submitting it. The violation of Senate policies, or material failure to comply with Senate policies, as they apply to research ethics, or to the use of computers, human subjects or animals. Research misconduct does not include those factors intrinsic to the process of academic research, such as honest error, conflicting data, adherence to scholarly or research advice given by faculty, or a difference in interpretation or judgment of data or of experimental design. Students who are uncertain whether a course of action might constitute academic or research misconduct should consult, in advance, the instructors or supervisors who might be involved, or their faculty dean. A requirement to repeat the assignment, examination or course. Failure on the assignment, course, examination, thesis or dissertation. Suspension from the program or from the university for a designated period of time. Expulsion from the program or from the university. Cancellation or revocation of the degree or diploma, where the offence pertains to the eligibility to receive such a degree or diploma, whether discovered before or after the degree or diploma is awarded. Inclusion of a statement in the student's transcript pertaining to the suspension or expulsion or to the cancellation or revocation of the degree. Approved by Senate on November 16, 1995; revised March 3, 2005; revised March 6, 2007. The president has delegated to the deans and to the vice-president: academic the authority to impose discipline in cases of academic or research misconduct, hereafter referred to as academic misconduct. Penalties up to and including failure in a course may be imposed at the departmental level, except at the Brantford Campus and in the Faculty of Education, Faculty of Music, and Faculty of Social Work where such penalties may be imposed by the dean (in the School of Business and Economics the associate dean (or designate) will serve as the chair of the Department of Business). Any penalty that is imposed must be such that participation in academic misconduct is a high risk activity. At any point in the procedures outlined below the student being accused of academic misconduct may choose to be accompanied by a member of the university community to any disciplinary proceeding. 1.a) It is the responsibility of instructors and supervisors to investigate incidents of suspected academic misconduct in their courses, or course sections (including incidents brought to their attention by teaching assistants, proctors and instructional assistants). If an instructor or supervisor believes an incident of academic misconduct has occurred, the instructor or supervisor should consult with the relevant administrator. Thereafter the instructor should meet with the student as soon as possible. The student is to be informed of the allegation and the facts that bear on the suspicion of misconduct. The student must be given a full opportunity to provide an explanation of the incident. If the instructor decides there was no misconduct, or the student could not reasonably have known that there was academic misconduct, the matter will be closed and no further action will be taken. 1.b) If more than one student is involved in the misconduct the instructor must meet with either each student separately or, if appropriate, students as a group. Penalties imposed on students may vary, depending on their degree of involvement in the incident. 2.a) If, following this meeting, the instructor believes academic misconduct has occurred, the instructor must report the matter (using form: Allegation of Academic Misconduct) to the relevant administrator, who will determine, by consulting the Central Registry, if the student has a prior record of academic misconduct. If the student has a prior record, the student must be notified that the case will be referred to the dean for further investigation. 2.b) If the relevant administrator is the instructor, the Department-in-Council will select another member of the department to serve as relevant administrator for this case. If the dean is the instructor, the department chair will serve in the manner prescribed in this document. If, subsequently, the case is referred to the faculty dean an associate/assistant dean will be appointed to take the place of the dean in the proceedings outlined below. 3. If there is no prior record the relevant administrator, after consulting with the instructor, will determine the penalty. The penalty may be the allocation of a zero for an assignment, project, test, exam, or other activity which counts toward the final grade in the course. The student may be given the opportunity to repeat the assignment, project, test, exam or other activity. The most severe penalty that may be assigned at the departmental level will be a failure in the course. Any additional penalty must be recommended to the dean. 4. Any penalty which does not go beyond failure in the course in question must be communicated to the student in writing (using letter: Final Notice of Penalty) by the dean of the faculty in which the incident took place, with a copy to the dean of the faculty in which the student is registered (if different), the Dean of Graduate and Postdoctoral Studies (for graduate students) and, as appropriate, the registrar. The letter to the student will identify the incident, summarize the facts that bear on the case, and inform the student of the penalty being imposed. 5. The student shall have a right to appeal the finding of academic misconduct or penalty to the faculty petitions committee. The decision of the faculty petitions committee is final and binding. 6. Disciplinary procedures may also be initiated against a student who, while not registered in the course where the alleged academic misconduct took place, is alleged to have assisted in the misconduct. 7. If the student has a prior record of academic misconduct, or if the recommended penalty is more severe than a failure in the course, the instructor and the relevant administrator will together notify, in writing, the dean of the faculty in which the incident has taken place, the dean of the faculty in which the student is registered (this dean will now handle the case for undergraduate students) and for graduate students, the Dean of Graduate and Postdoctoral Studies (this dean will now handle the case for graduate students). The dean(s) may also be informed of an incident of academic misconduct by another source, such as the registrar, with respect to misconduct in final examinations. 8.a) The dean assigned to the case must meet with the student, must inform the student of the allegation, must provide the student with a summary of the prior record of academic misconduct as appropriate, and must provide the student with a copy of all relevant documentation and a copy of these procedures. The dean must offer the student an opportunity to respond in writing to the complaint and allow the student at least three days to prepare the written statement. Where warranted by the circumstances the dean has authority to extend the period for a written response. 8.b) If the student refuses or declines to meet with the dean it will be assumed that the student does not dispute the charge and will accept the penalty deemed appropriate by the dean. 9. Following receipt of the written statement the dean will, within one week, inform the student of the finding of academic misconduct (using letter: Final Notice of Penalty) and any penalty to be imposed. If the student admits the allegation and does not dispute the recommended penalty, the dean will notify the vice-president: academic. The dean may impose penalties up to but not including suspension from the university. If the student at this stage denies the allegation and/or disputes the recommended penalty, the dean will inform the student that a committee-of-inquiry will be established. ii. There is evidence that the act constitutes academic misconduct, including the degree of severity of the act, and that a specific penalty should be imposed. 11. The vice-president: academic will, following receipt of the report from a dean or from the Committee of Inquiry, notify the student that the recommendation has been received, and will provide the student with an opportunity to meet before accepting or rejecting the recommendation. Following the meeting with the student, the vice-president: academic will make a decision and will notify the student in writing. 12. The student may appeal the decision, in writing, to the president who may arrange to meet with the student. 13. If the conduct is, on the recommendation of the vice-president: academic, deserving of suspension or expulsion, the president will make the final decision. 14. All discipline matters will be investigated and decided fully and fairly and in a timely manner. In all cases where the student's credibility is in issue, it is essential that the student be given an opportunity to be heard and to call evidence if he or she wishes, on the issue of credibility. Cases involving allegations of research misconduct by students involved in research not related to courses for which the student is registered will also follow the above procedures. 15. As per exhibit one, when there is a finding of academic misconduct, the Final Incident Report is completed and filed with the Central Registry. Note: this document will be noted as approved by Senate and distributed to all faculty. Copies will be available in each dean's office, the Registrar's Office, and the University Secretariat. Revisions to the Academic Code were approved by the Academic Integrity Committee. The Academic Integrity Committee was established established as an ad hoc subcommittee reporting to Senate Academic Planning and Senate Student Life Committees. Revisions to the Academic Code were approved by Senate March 6, 2007 and the Board of Governors' Executive and Governance Committee on March 20, 2007. Revisions to the foregoing section of the policy were approved by Senate on January 18, 2011. Section III. Non-Academic Misconduct as been replaced by policy 12.3 Non-Academic Student Code of Conduct. Instructor who suspects misconduct[i] consults the Student Code of Conduct and the relevant administrator. Instructor then meets with the student(s) and decides whether misconduct has occurred. If misconduct has occurred, instructor completes the Allegation of Academic Misconduct Form (one copy to student and one copy to the relevant administrator). Relevant administrator ascertains if there is a prior record by consulting Central Registry. Incident is referred to the Dean or designate[ii], with notification to the student. Dean meets with student, provides student with documentation, and offers student opportunity to respond within 3 days. Dean informs student of penalty (letter: Final Notice of Penalty), within 1 week. May impose any penalty less than suspension. At this time, the student may appeal to Committee of Inquiry, which reports its findings to the VP: Academic. Penalties of suspension or greater are recommended to VP: Academic who meets with student and determines penalty. Student may appeal to the President, who makes final decision on the most severe penalties (e.g. suspension, expulsion, or revocation of degree). Final Incident Report is filed with Central Registry[iii], with notice to student. Relevant administrator consults with instructor to determine penalty – ranging from Official Warning to failure in the course. Any greater penalty is recommended to the Dean or designate[ii]. Student is notified of the penalty (letter: Final Notice of Penalty) by the Dean of the Faculty in which the incident occurred. The Dean of the Faculty in which the student is registered is copied in. At this point, the student may appeal to Faculty Petitions Committee. Final Incident Report is filed with Central Registry, with notice to student[iii]. *First offence: An academic integrity education component may be assigned in addition to other penalty. *Subsequent offence: Any subsequent offence i.e. not necessarily in the same category. *Modeled on the University of Guelph 2006/7 Undergraduate Calendar penalty guidelines pp. 33-34. Bolded text indicates the normal expectation of penalty for a first or second year undergraduate, or first year graduate student. More than one penalty may be applied. Students charged under university regulations may also be subject to criminal charges under the Criminal Code of Canada. Even if course is dropped, any penalty will be applied and recorded in Central Registry. When a grade of 0 on course work has been levied against a student found guilty of academic misconduct, the notation “Grade of 0 on course work assigned for academic misconduct” may appear on the student’s transcript opposite the course. When a grade of 0 in the course has been levied against a student found guilty of academic misconduct, the notation “Grade of 0 assigned for academic misconduct” may appear on the student’s transcript opposite the course. When a student’s degree is rescinded, the notation will read “degree rescinded by the Senate for academic misconduct (effective date)”. Depending on the severity of the case, the transcript notation could remain on the student’s transcript for one year, three years, or indefinitely in exceptionally severe cases. For students with one offense, the record in the Central Registry would be destroyed when the student graduates. For students with more than one offense, the record would be destroyed five years after graduation. “Minor” offences typically impact only one student, involve a small percentage of the grade in a course, and would not involve criminal charges. [i] Teaching assistants, instructional assistants, students’ peers should inform instructor of suspected misconduct. [ii] Depending on the Faculty, this could be the Chair, Program Coordinator, Associate Dean, Dean, or designate. [iii] In the case of graduate students, the Dean of Graduate Studies will keep the appropriate Faculty Dean informed.